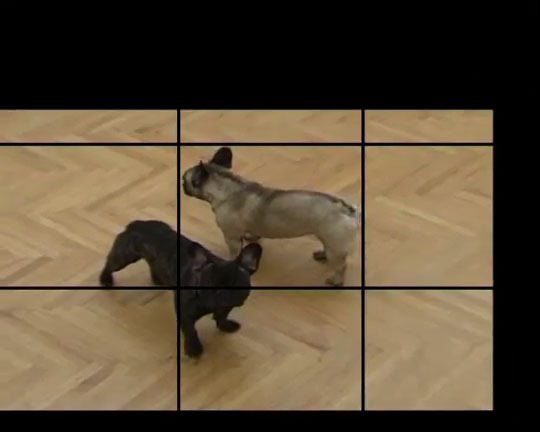 Download video (detail): "MP4" / "OGG"
Two dogs are playing in an empty room. One is locked up in a cell of a coordinate-system on the screen. 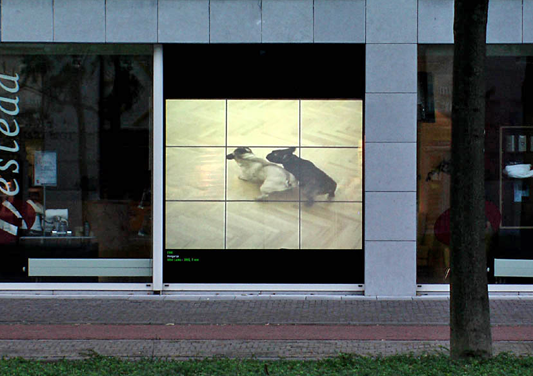 Its body is permanently touching the frame, the image is stretched or distorted according to the dog‘s movement. 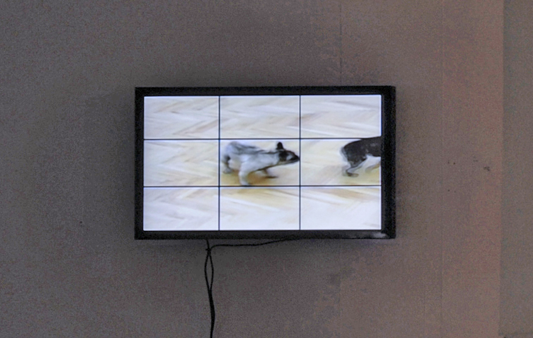 The result is an artificial universe, in which the spatial dimen­sions turn to be proportions. A way of perception that would never be possible in reality. The dog is on a voyage of discovery as a successor of Laika, the first dog sent out to Space. 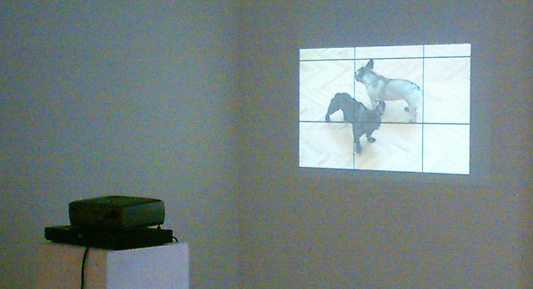 The surroundings and the other dog are affected by this one‘s behaviour in a way that it creates a „Subjective Space”.